Remember that awesome couple from Connecticut that let us stay with them for a night? Kristin and Eric? The ones that gave us the most important night off the trail of our entire hike? 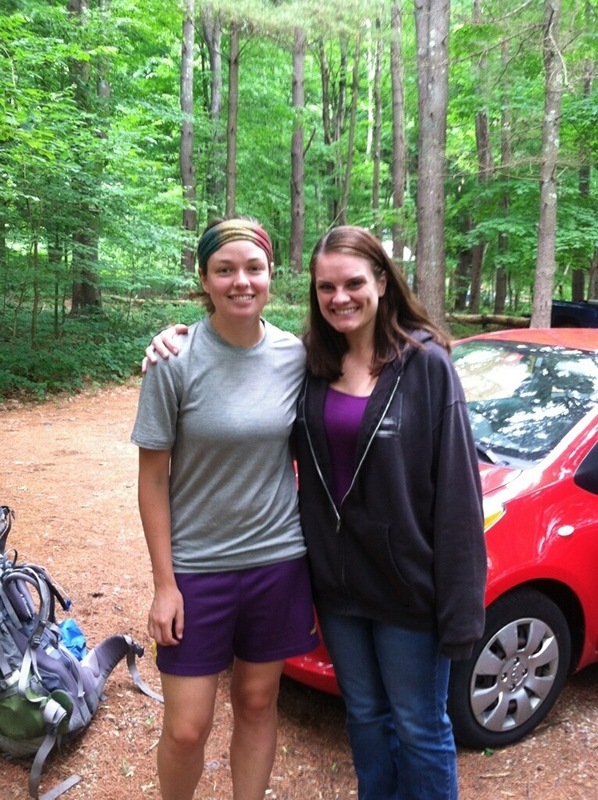 Well, they’re two days away from beginning their own AT thru-hike this year! Kristin and I after her and Eric gave us a much-needed break off trail. While we won’t be thru-hiking this year, we are very excited to follow other hikers via blogging and trail journals and provide some trail magic along the way. Kristin and Eric were delayed a few days because of the snowstorm we had earlier this week, but they’ll be heading out into the snow in a couple of days! Having so many people supporting us through our blog was such an encouragement for us, which is why I’m letting you all know about this awesome, newly-married couple. They also write a blog and I’m sure they’d love to have you along for the ride. As thru-hiking season gears up, I’ll be posting links to other blogs that we’ll be following as well. But for now, let’s give our support towards Kristin and Eric. We can’t wait to hear about their adventures in the snow. Good luck!!! Funny. I clicked the link to check out their website. Already following them.